Explore AI vendor companies offering automation and robotics solutions, including applications in forecasting, predictive analytics, text analysis, and more. Description: Robotic-assisted surgery was little more than a medical curiosity until 1999, the year Intuitive Surgical introduced the da Vinci® Surgical System. Today, Intuitive Surgical is the global leader in robotic-assisted minimally invasive surgery. The company provides surgeons and hospitals with the tools needed to improve clinical outcomes and help patients return to active and productive lives. Headquartered in Sunnyvale, California, Intuitive Surgical serves customers throughout the United States and internationally, providing minimally invasive technology used in cardiac, urology, gynecologic, thoracic, colorectal and general surgery procedures. Products: The da Vinci Xi: The da Vinci Xi is the next frontier for minimally invasive surgery. With this addition, Intuitive Surgical® can now offer a full range of da Vinci Systems optimized for highly complex, multi-quadrant surgery and simpler, single-quadrant surgery. da Vinci Surgical System: The da Vinci® Surgical System enables surgeons to perform delicate and complex operations through a few small incisions. The da Vinci System consists of several key components, including: an ergonomically designed console where the surgeon sits while operating, a patient-side cart where the patient is positioned during surgery, interactive robotic arms, a 3D HD vision system, and proprietary EndoWrist® instruments. da Vinci is powered by robotic technology that allows the surgeon’s hand movements to be scaled, filtered and translated into precise movements of the EndoWrist instruments working inside the patient’s body. da Vinci Si Surgical System: The da Vinci Si System retains and builds on the core technology at the heart of the existing da Vinci and da Vinci S™ Systems da Vinci Single-Site: da Vinci® Single-Site® Surgery enables surgeons to operate through a small incision in the patient’s umbilicus during a cholecystectomy, benign, hysterectomy or salpingo-oophorectomy. The end result: virtually scarless surgery. EndoWrist Instruments: Intuitive Surgical's EndoWrist® Instruments are designed to provide surgeons with natural dexterity while operating through small incisions. Most EndoWrist instruments are modeled after the human wrist, offering a greater range of motion than the human hand. Description: Rethink Robotics is a new kind of robotics company, and their mission is to create a new kind of manufacturing robot. One that introduces robotics into processes that manufacturers have never been able to cost-effectively automate. One that uses common sense to perform a wide range of tasks and vastly improve productivity. And one that safely works side by side with its human counterparts, who are able to train it with no programming or engineering expertise. Products: Sawyer: A new high performance collaborative robot designed for machine tending, circuit board testing and other precise tasks that are not practical to automate with traditional industrial robots. Manufacturers around the globe are leveraging Sawyer collaborative robots, making their factory of the future a reality. Baxter: With no safety cages, complex programming or costly integration required, not to mention a game-changing price point, Rethink Robitics’ flagship smart, collaborative robot is raising eyebrows (and bottom lines) in plants of all sizes. Powered by the Intera platform, Baxter is a technology that improves itself over time. Baxter for Research & Edu: What happens when you combine an industry-tested automation solution with an open source ROS API? You get Baxter – a safe, affordable, robust platform with a Software Development Kit (SDK) – a must-have for labs and schools around the world. 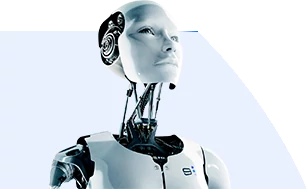 The Intera Platform: A robot is only as good as its operating software, and Rethink Robotics’ is second to none. With the Intera platform, your robots will always be improving their performance, adapting to meet your needs and updating to the latest technology available. Accessories: Need to get a grip with ReThink Robotics' versatile end effector options? Want to put your robots on a pedestal? Rethink Robotics offers a complete range of versatile accessory options you’ll need to get up and running quickly and easily. Whether it’s one of thier standard accessories or the platform to support a fully customized solution, Rethink Robotics makes sure you get just the right tools for your job. Description: Universal Robots produce a robotic arm which is characterized by being extremely flexible and easy to use in the day-to-day production. It differs from anything else in the market in the sense that it is lightweight, very easy to re-program for any non-robot expert and can be easily moved around in the production facilities. This enables the possibilities for small and medium sized companies to implement robots into the production, even though they do not posses the robot expertise inside the company. They can do everything themselves. And at low costs. Products: UR3 robot: UR3 is a new, smaller collaborative table-top robot for light assembly tasks and automated workbench scenarios. The compact table-top robot weighs only 24.3 lbs (11 kg), but has a payload of 6.6 lbs (3 kg), 360-degree rotation on all wrist joints and infinite rotation on the end joint. These unique features make UR3 the most flexible, lightweight, collaborative table-top robot to work side-by-side with employees in the market today. It’s an ideal choice for applications that require 6-axis capabilities where size, safety and costs are critical. The UR3 collaborative robot is an optimal assistant in assembly, polish, glue, and screw applications requiring uniform product quality. The new table-top robot can also be used in a separate work station mounted on the table, picking, assembling and placing parts in optimized production flows. Because of its compact form and easy programming, it’s easy to switch it between tasks to meet agile manufacturing needs making total cost of ownership low and payback period ultra fast. UR5 robot: The lightweight, flexible and collaborative industrial robot - UR5 - from Universal Robots lets you automate repetitive and dangerous tasks with payloads of up to 5 kg. The UR5 is ideal to optimize low-weight collaborative processes, such as: picking, placing and testing. With a working radius of up to 850mm, the UR5 collaborative robot puts everything within reach, freeing up your employees’ time to add value to other stages of the production. The UR5 from Universal Robots is very easy to program, offers fast set up, is collaborative and safe, and like Universal Robotics' other collaborative robots, offers one of the fastest payback times in the industry. UR10 robot: The Universal Robots UR10 is Universal Robotics' largest industrial robot arm, designed for bigger tasks where precision and reliability are still of paramount importance. With the indstrial robot arm - UR10 - you can automate processes and tasks that weighs up to 10 kg. Heavier-weight collaborative processes, such as: packaging, palletizing, assembly and pick and place are all well suited to the UR10 industrial robot. With a reach radius of up to 1300mm, the UR10 industrial robot is designed to be more effective at tasks across a larger area. You can therefore save time on production lines where distance can be a factor.